There is a slight improvement in the physical condition of Kardam, the eldest son of Bulgaria's former King and Prime Minister, Simeon Saxe-Coburg. "We all hope for his recovery, but the family is abstaining from public comments," Saxe-Coburg's spokesperson, Galya Dicheva, says, cited by the Bulgarian daily 24 Chasa (24 Hours). 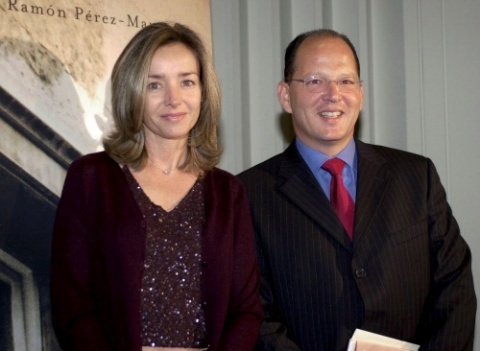 Prince Kardam, 48, and his spouse, Miriam Ungria, barely survived a car crash near Madrid on August 15, 2008, when their car hit a tree and overturned. The wife had lesser injuries and has recovered. Dicheva further explains Miriam Ungria had sent their two sons – Boris and Beltran to a boarding school in order to dedicate all her time and attention to her husband. Last summer she remodeled their entire home to fit the needs of the injured prince. Meanwhile, the site Noblesse & Royautes, informs that the Belgium royal heir, Prince Philippe and his spouse, Princesse Mathilde de Belgique, have visited their relatives, Karadam and Miriam, after spending their Easter vacation in Spain. The publication notes the good relations between the Belgium and the Bulgarian royal families. The Spanish magazine Hola published a picture of the Belgium royal couple, leaving the Saxe-Coburg house. From Spain, Philippe and Mathilde de Belgique had left for London to attend the wedding of British Prince William and Catherine Middleton. Simeon Saxe-Coburg had also traveled to Madrid, to be with Kardam, immediately after Easter, while his spouse Margarita is said to have been spending most of her time in the Spanish capital. Dicheva says from Madrid Simeon went to Portugal to participate in a business forum and speak about energy sources. After Portugal, Bulgaria's former King will visit several other European countries. Recently, Simeon told 24 Chasa he was examining the possibility to summon two world-renown neurologists from Sankt Petersburg, Russia, to help with his son's recovery.